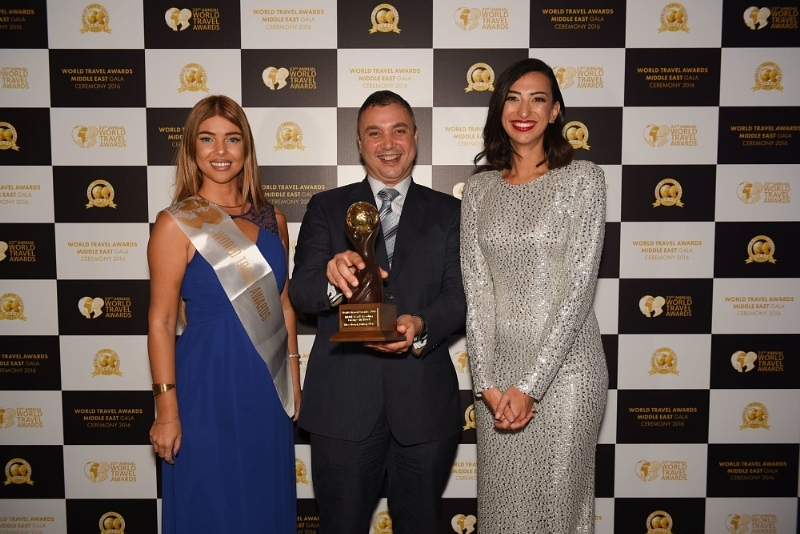 DUBAI, UAE: PRNewswire: The prestigious World Travel Awards has voted The Oberoi, Dubai as the ‘Middle East‘s Leading Luxury City Hotel‘ for the third year in a row at a ceremony held in Dubai, UAE on 29th September, 2016. Hailed as the ‘Oscars of the travel industry‘, World Travel Awards celebrates its 23rd anniversary this year and is acknowledged across the globe as the ultimate travel accolade. The brand aims to celebrate those organisations that are pushing the boundaries of industry excellence. The coveted awards are chosen by travellers and hospitality industry professionals across a variety of categories. The Oberoi, Dubai competed against several luxury city hotels across the Middle East and Dubai, winning the award as a result of its all-round excellence and unparalleled levels of service. The Oberoi, Dubai is part of the internationally famed Oberoi Group and represents its first property in the UAE, having successfully opened in June 2013. The World Travel Awards are the latest addition to the hotel’s increasingly expanding collection of awards including Best Business Hotel by the readers of Business Traveller Middle East 2015. Located at The Oberoi Centre, The Oberoi, Dubai is a contemporary luxury hotel that embodies height, light and space. The hotel overlooks the iconic Burj Khalifa and each of the 252 rooms and suites have floor to ceiling windows which afford spectacular views of the city‘s skyline. The hotel enjoys a central location in Business Bay and is a few minutes’ drive from Downtown Dubai and The Dubai Mall. A distinctive feature of the Group’s hotels is their highly motivated and well-trained staff that provides exceptionally attentive, personalized and warm service. The Group’s luxury hotels have established a reputation for redefining the paradigm of luxury and excellence in service amongst hotels around the world.